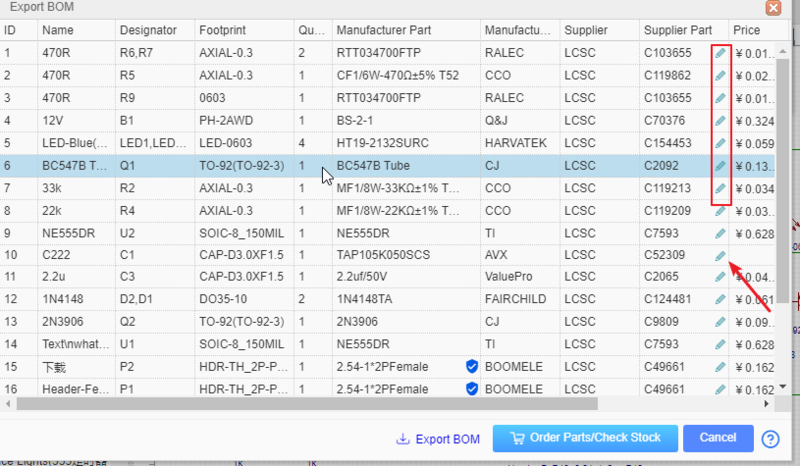 When you click “Export BOM at LCSC”, we will help you to list all the components of your BOM, If you want to buy the components form LCSC, and you just need to put them to the cart and check out. 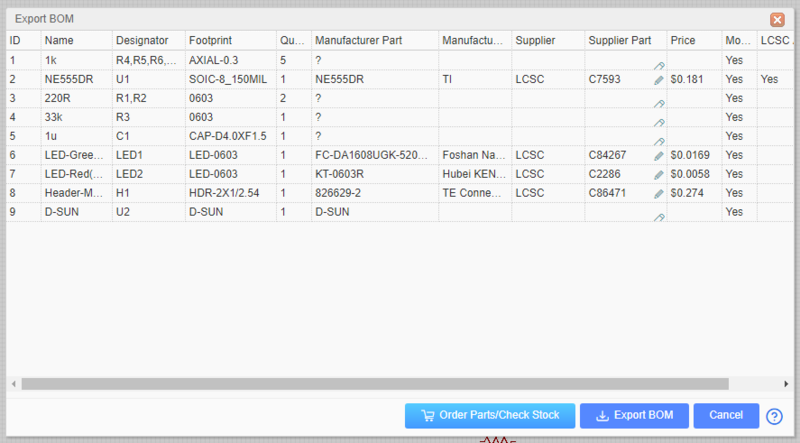 And Click the “BOM” button to download the BOM file. You can open it in any text editor or spreadsheet.